On 6th October, we will be celebrating the achievements of everyone living with Cerebral Palsy. Our clinical negligence team have been privileged to work with Cerebral Palsy children for the last 3o years. We are delighted that a special day has been set aside to recognise this wonderful group in our communities. 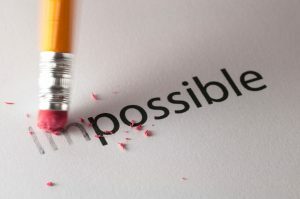 Changing the impossible to possible. World CP Day encourages everyone to raise awareness of CP and dispel myths about the condition. Many still feel uncomfortable talking to a person with CP. Some cultures feel shame and others might over protect a child with CP. Mothers around the world have used the movement to promote positive stories and reduce the stigma faced by some children with CP. We all know that the treatment of disabled children can vary around the world. In some countries the Government oppose any rights for children with CP. The cause of CP is still unknown in many cases. Our own experience of clinical negligence cases is that few are related to damage at the time of birth. The more we can learn about this condition the better the chance of finding effective treatment to prevent CP. In some countries better access to health care would avoid CP. Knowing the diagnosis sooner also gives better access to therapy. Barratts’ solicitors know that clients are often not told their child has CP until many years after the birth. Alison Brooks, in our clinical negligence department, has also seen 1st hand how children with CP can benefit from Conductive Education (CE), especially if introduced at a young age. Alison is a trustee of School for Parents which offers CE to pre school children. Accessing everyday opportunities and being part of a community can help us all to enjoy life. It is vital that anyone with CP has the same access. Equally important is access to basic needs. We know of children in Africa who are left on the floor all day because there is no equipment. Let’s spread the message and help improve the lives of people with CP. Access to education gives the best chance to lead a fulfilling life. Even in the UK, access to the right support in schools is a struggle. We often have to fight for clients to get additional help and equipment can often be inadequate. This means that children cannot communicate properly and their learning is affected. Contributing to the world around us means we feel valued yet few adults with CP are working and we rarely see people with CP in the media. Lets all celebrate World CP Day; please spread this news story to encourage us all to think more about CP.